Manufacturer & Exporter of Lubricant Packaging Pouches. Our product range also comprises of Laminated Pouches, Customized Pouches and Agricultural Pouches. We are offering our client an excellent quality range of Lubricant Packaging Pouches. These Grease and Lubricant Packaging Pouches are manufactured from qualitative range of raw materials. 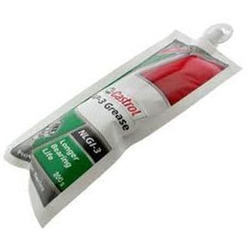 These Grease and Lubricant Packaging Pouches are offered in variety of designs, shapes, sizes and colours. Our assortment of Grease and Lubricant Packaging Pouches are available at most reasonable prices. Economic Packaging for Grease and Lubricant Oils suitable for all engine oil. Looking for Lubricant Packaging Pouches ?